The Little Mermaid came out in 1989, but we rarely went to the movies and waited for it to come out on TV or sometimes video. We didn’t watch many “new” movies. So I didn’t pay much attention to The Little Mermaid as a whole. It wasn’t until my high school choir sang a medley of songs from The Little Mermaid that I fell in love with the music of The Little Mermaid. I couldn’t tell you the first time though that I actually watched The Little Mermaid. I just know I did and loved the movie too. Now you can get the full The Little Mermaid CD Collection straight from Walt Disney Records. Honoring the 25th anniversary of The Little Mermaid, can you believe it’s been 25 years? Holy heck, where has the time gone? 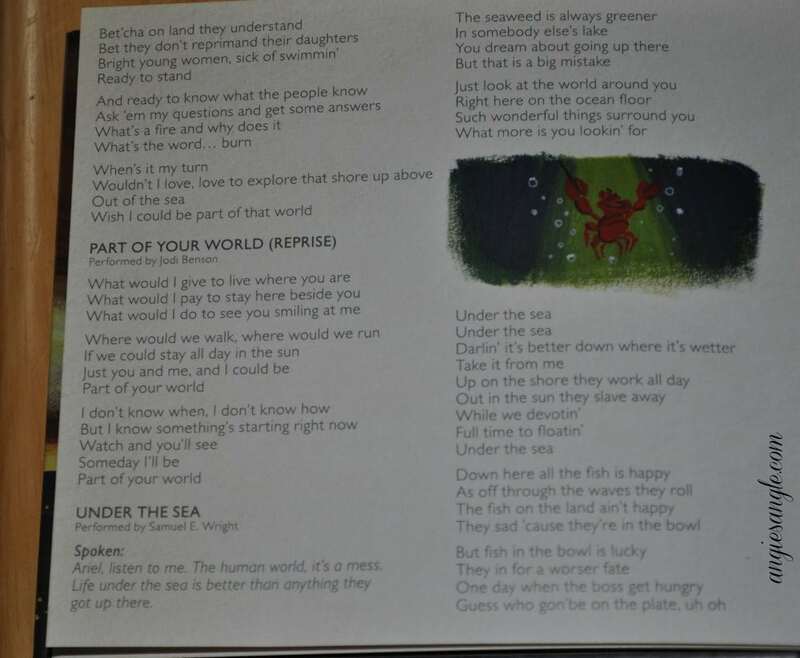 It includes a beautiful CD booklet filled with the story behind the music, all the lyrics to the songs and beautiful illustrations to absorb. There are 2, yes 2, CD’s to give you the whole experience of The Little Mermaid. I swear this The Little Mermaid CD Collection will make you happy while listening to it as it did me. I sang along loudly when Part Of Your World came on, as I did when Kiss The Girl came on. It’s filled with lots of just music too, no words – so it would make a pretty great background music to listen to. There will be a fifth release from The Legacy Collection that will celebrate the 75th anniversary of Fantasia with a 4-disc set, set to release the 13th of January. You may pre-order it now at Amazon – The Legacy Collection – Fantasia. 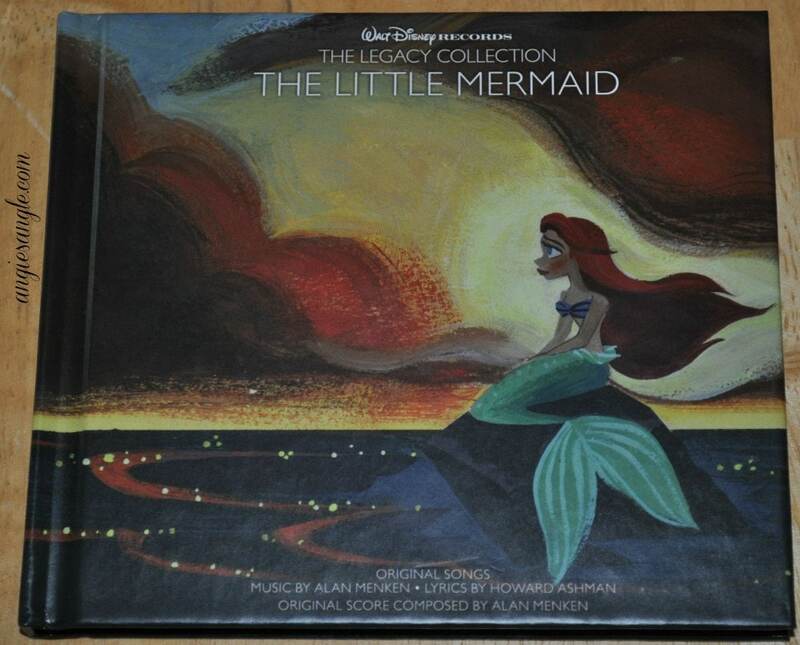 You can also buy The Legacy Collection – The Little Mermaid CD Collection at Amazon right now as well. Check out the Disney Music Emporium for all your Disney needs! Or you can try and win it right now from me and Walt Disney. Just fill out the Gleam form below for your chance to win. USA and Canada only, winner will have 48 hours to respond to me after me emailing them as the winner or I will be forced to pick a new winner. 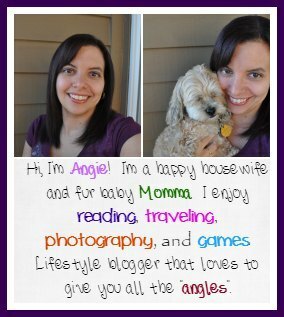 If it comes to this blogger’s attention that the winner of this giveaway has won on an additional blog for this same prize, this blog reserves the right to choose another winner.